Fall Crafts for Kids - Quick and Easy Fall crafts for toddlers and more! 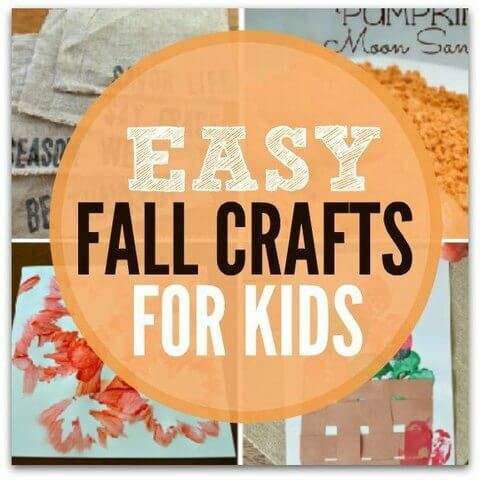 We have compiled a huge list of Fall Crafts for Kids and Easy Crafts for Toddlers. Many of these will take you through Fall, Halloween and even Thanksgiving! 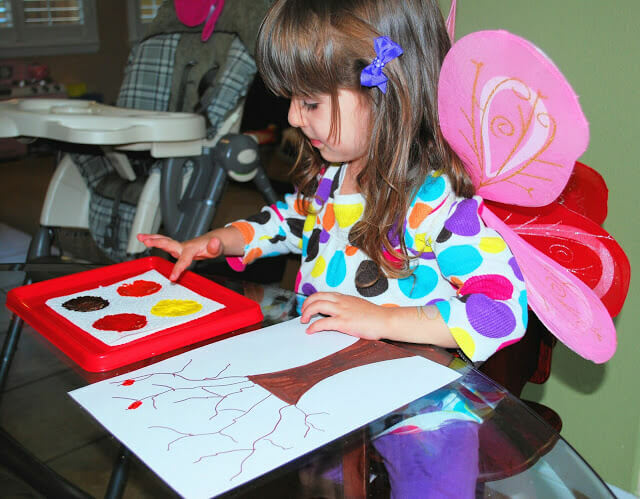 Whether you have toddlers, or big kids you are going to love these easy autumn crafts. Even better, many of these use items you probably already have. These easy Fall crafts are sure to be a hit with everyone. They are so fun and festive for this time of year. 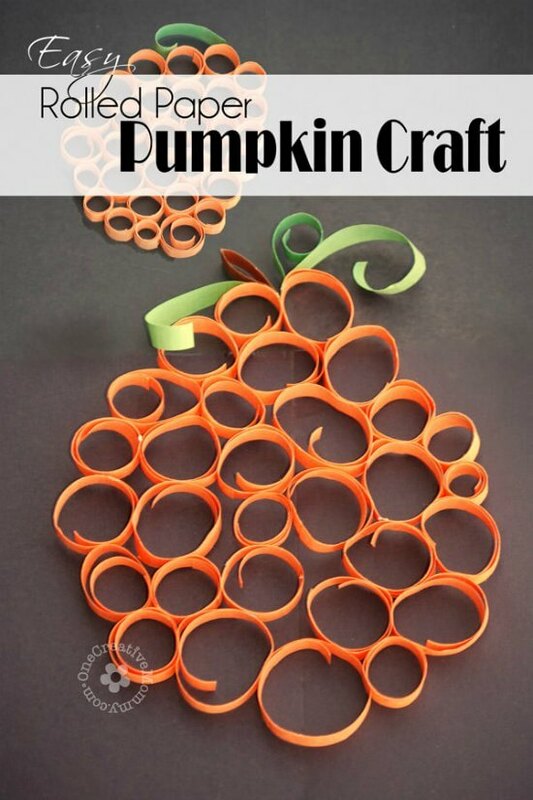 With so many simple autumn crafts to make, you might have a hard time deciding! Why not make several? There are so many adorable ones and you will keep the kids busy all season long. Fun Fall Tree using Q-Tips to make leaves in lot’s of pretty Fall colors. You could even save and frame this one! This craft is so simple because there is no cutting or gluing! And you have the option of making a pumpkin or turning it into a Jack O’ Lantern with an extra step! You might even have all of the supplies right now! Oh I have a fun idea for you to do with the kids this week. 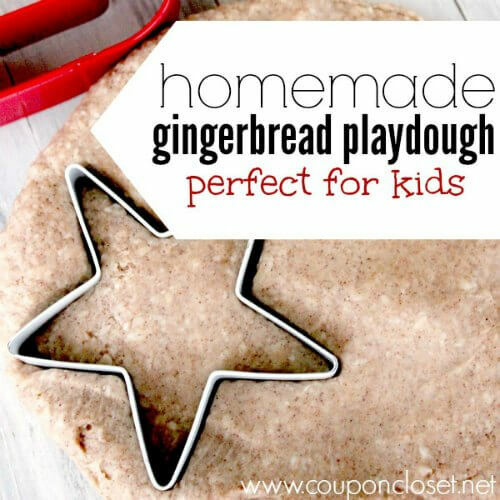 Together make gingerbread playdough. It is so easy to make, and it smells amazing! No seriously, you will want to take a bite out of it, is smells so wonderful. This apple stamping craft looks amazing, but it is so easy and inexpensive to make.It is a great craft if you are working on the letter “A” with your preschooler. 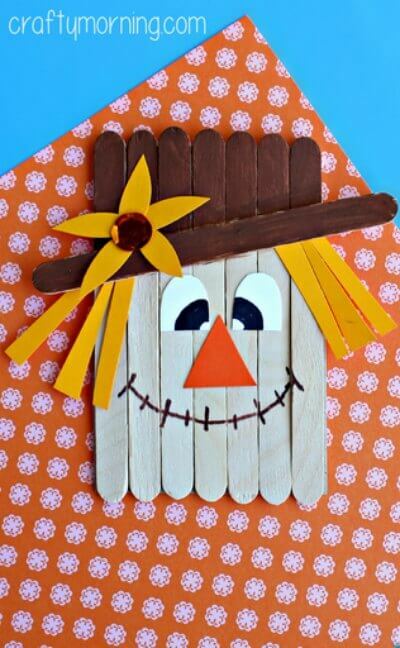 Make a fun Fall Scarecrow using popsicle sticks and a little paint. Kids will have a blast painting this fun craft. I am so excited to share with you this EASY DIY project that you can throw together for Thanksgiving or for your fall decorations. 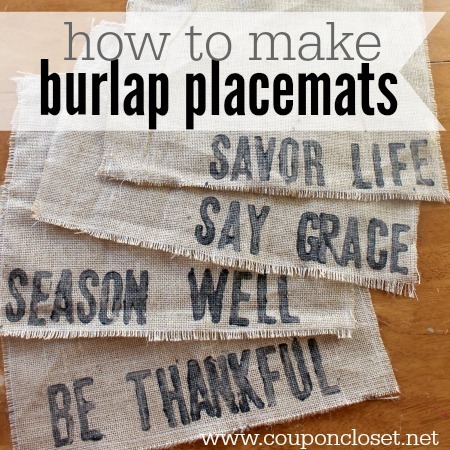 These beautiful placemats are simple to make but bring maximum impact to your table. 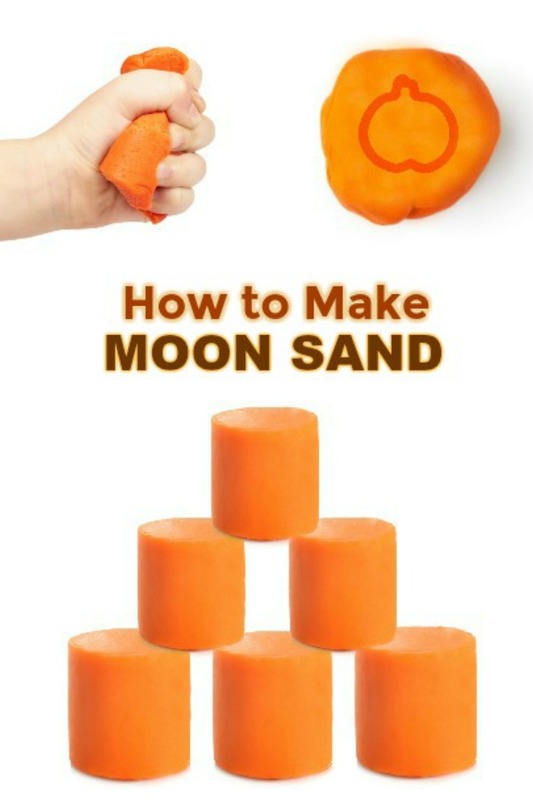 Moon sand is really easy to whip up and makes for some fabulous sensory play. It has a fun texture different from other mood sand recipes. This one is perfect for Fall. 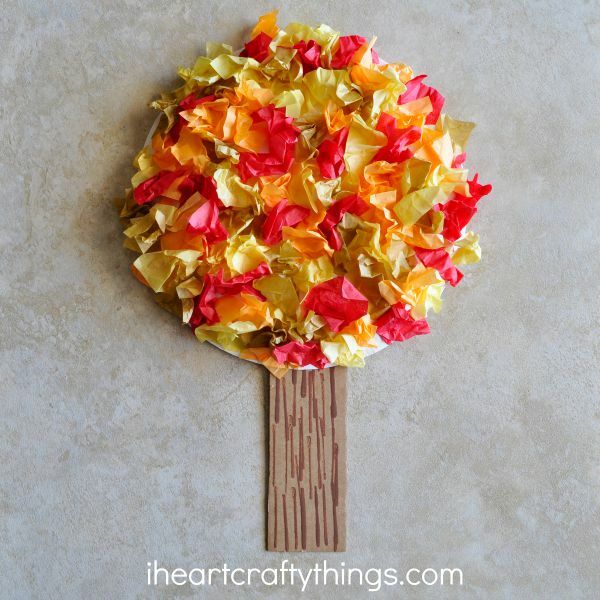 You can make an adorable Fall Tree using tissue paper. Scrunching tissue is a fine motor skill activity so perfect for little ones. It’s also fun for older children! 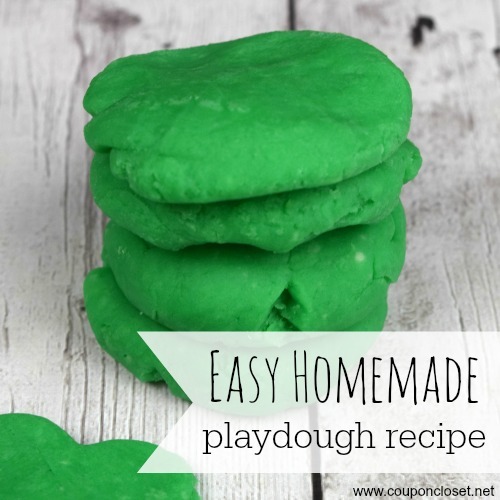 This is a simple recipe for playdough that can be made in 15 minutes or less. This is an inexpensive hands on activity for kids that everyone will love. 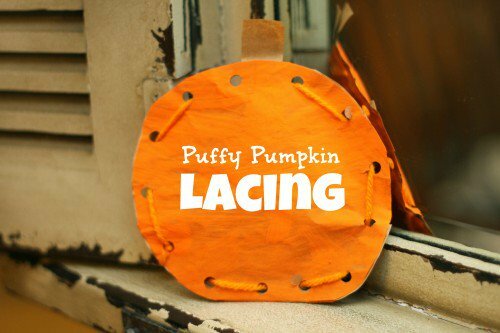 This fun Puffy Pumpkin Lacing combines a fun fall craft with a little fine motor practice! The kids will be amazed at how this rolled paper turns into a gorgeous pumpkin. It’s also a great way to use up scrap paper and make your home festive. Now it’s time for Easy Crafts for Toddlers! Grab the little ones and get started. Many of these are awesome learning activities as well. Try these Fall crafts for toddlers age 2. 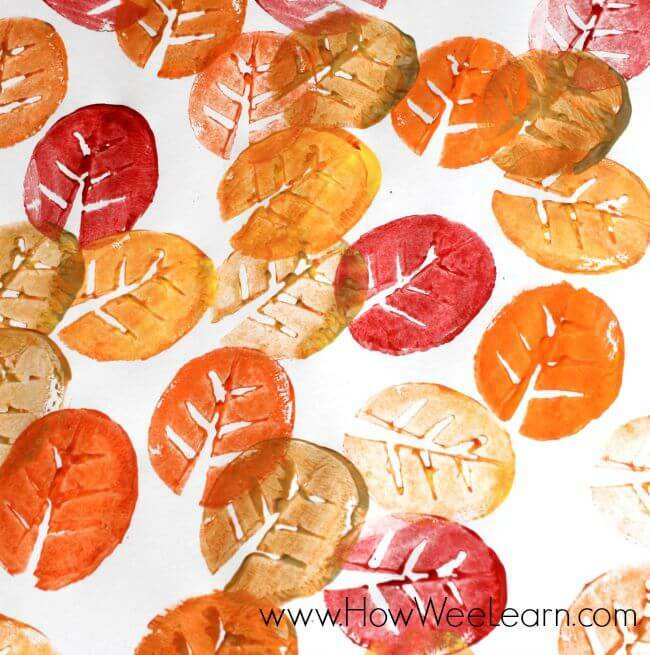 This simple painting activity uses leaves that you collected and pretty paint colors. Take a fall walk and gather your leaves. 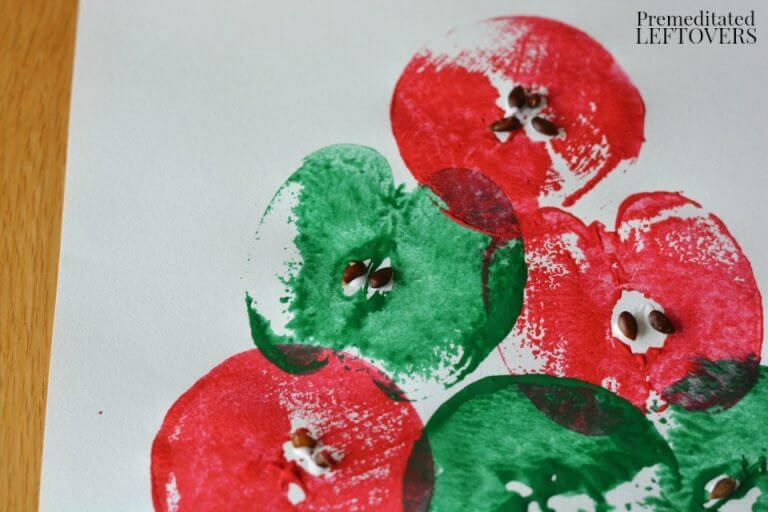 This apple stamping craft looks amazing, but it is so easy and inexpensive to make.It is a great craft if you are working on the letter “A” with your child..
Children use their fingerprints to make Fall trees with paint. This is also good for hand eye coordination. I love crafts that recycle items we already have. 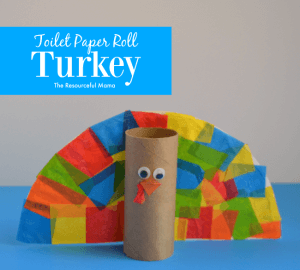 This one uses toilet paper tolls to make cute turkeys. 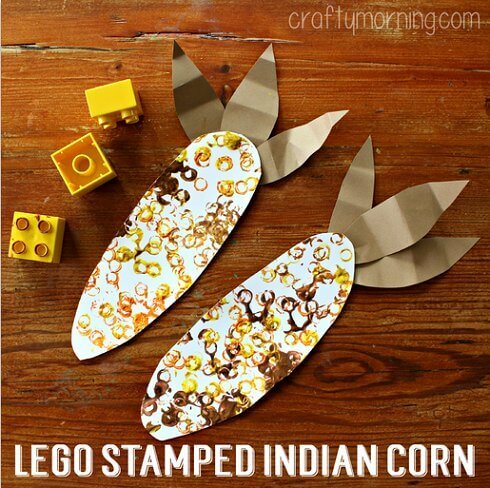 Kid’s love Lego’s and this fun craft using them to make Indian Corn Art Work. It’s the perfect way to re-purpose old Lego’s. 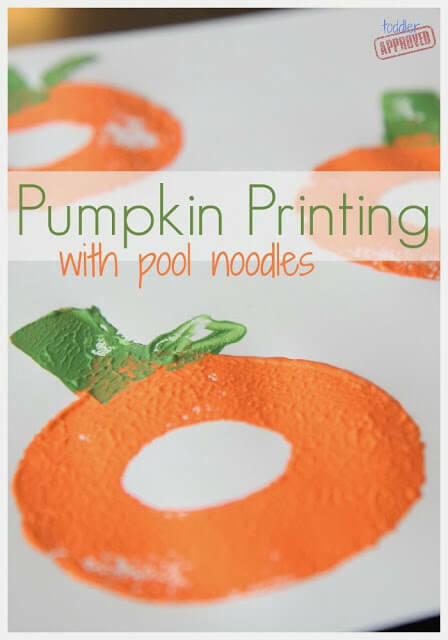 This is a super simple Fall craft using leftover pool noodles to make pumpkins! You can get these super cheap at the end of Summer. 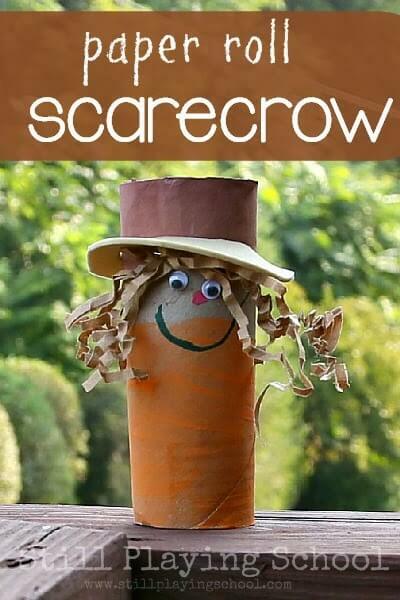 Teach kids about different shapes and colors with this fun scarecrow craft. It is adorable and so fun! Use what you have at home and let the kids have a blast stamping with potatoes. The leaves will be so pretty for Fall. 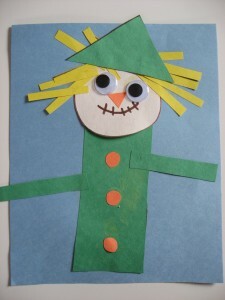 This is adorable and even includes crinkle paper for the scarecrow hair. So fun! Let the kids practice using scissors while doing a fun craft at the same time. They will love this fun activity that is actually educational. 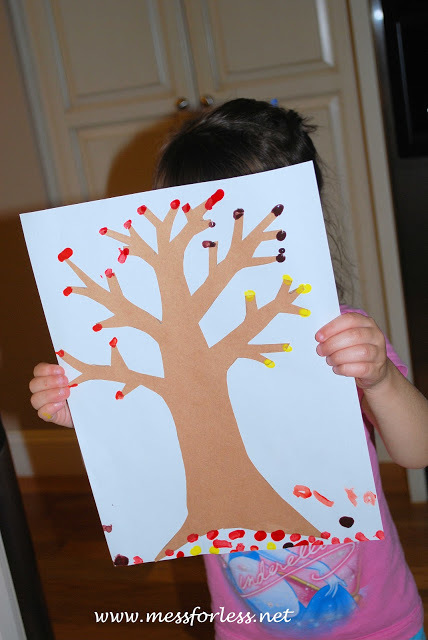 These are easy Fall Crafts for Preschoolers! 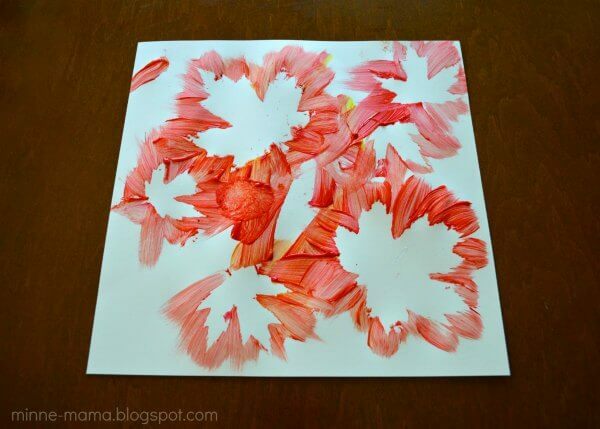 I think these would also be super easy and fun fall art projects for preschoolers. I know that they would love them. So from toddlers, to preschoolers, to older children, I know that there is at least one of these easy fall crafts for kids that your family will love. Come back and leave a comment and let us know which one of these craft you try. Try these Cheap and Easy Fall Crafts for Kids! Make your list and get started. They are all so fun. 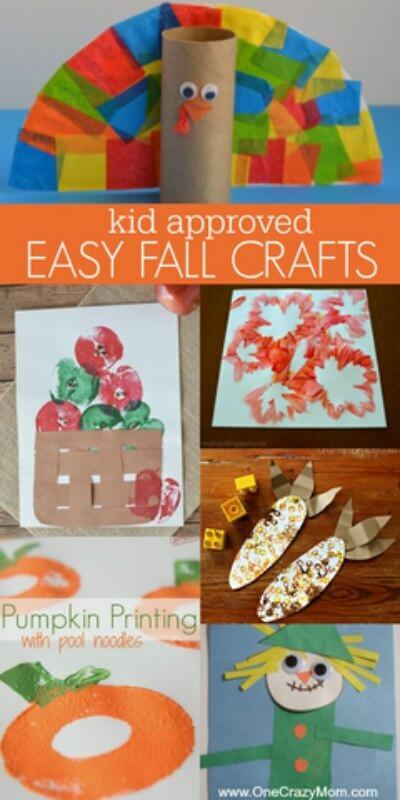 Kids will love these fall crafts. Some of these would even work for Autumn crafts for adults. No need for fall crafts Pinterest ideas with so many to choose from here! Kid’s will love these autumn craft ideas for early years and fall leaf crafts for preschoolers! 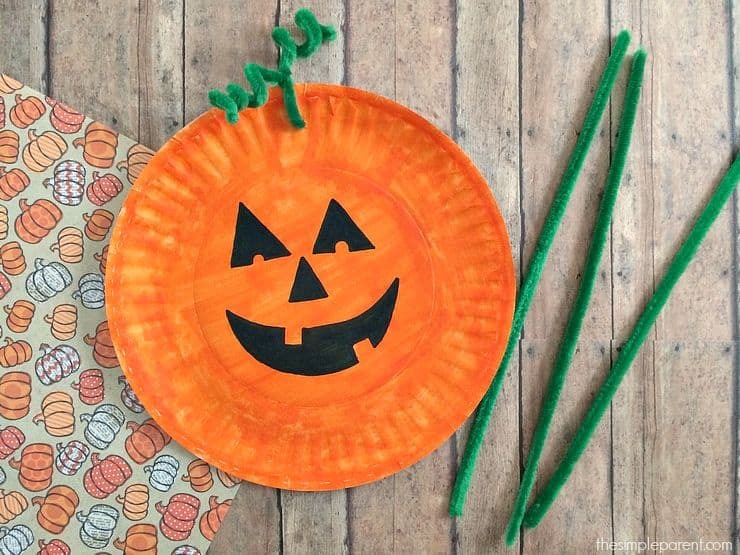 From fall leaves to paper pumpkins, these crafts for kids are sure to be a blast. There are so many ideas great for toddlers and older kids as well. Choose one of these fun fall craft ideas and make some memories with your precious children. Arts and crafts time is our favorite. We love to take a nature walk and get inspiration for fall art. Autumn crafts are so fun. My kids love to add a few googly eyes to their crafts. So fun!